Students at the University of Johannesburg (UJ) have joined the spurt of student protests that have flared up this week. Students, supported by their Student Representative Council (SRC), protested on February 6. 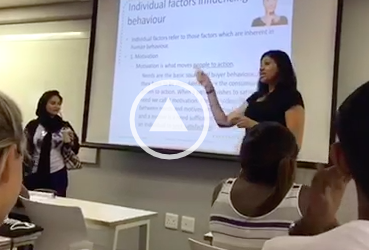 By SHAAZIA EBRAHIM and FATIMA MOOSA. The SRC released a statement on February 5 calling for students to join them in handing over a memorandum to management. The SRC president Tshireletso Mati said students are protesting for two main reasons: registration and accommodation. â€œOur main focus is students who have not been able to register,â€ he said to The Daily Vox. â€œStudents whose fees have not been paid by National Student Financial Aid Scheme (Nsfas) must be able to register. Students with outstanding fees must be able to register,â€ Mati said. The SRC says Nsfas beneficiaries have been forced to pay their registration money out of their pockets. They are demanding that students be paid refunds, and be given their Nsfas meal and book allowances. There is also an issue of the lack of accommodation for students. â€œWe are dealing with a situation where most students donâ€™t have accommodation. The university can only accommodate 6000 students at their residences,â€ Mati said. Other demands, contained within the memorandum, include an acknowledgement from the Vice Chancellor (VC) of the university about studentsâ€™ financial crisis and restarting the accommodation accreditation process so that students can reside in an accommodation of their preference. All four campuses of UJ were shut down on February 6. â€œThe university released a communique that everything will continue as normal but we didnâ€™t see that on the ground,â€ Mati said. Students were met with private security and there were a number of violent altercations in which students were injured and teargassed. â€œAuckland Park Campus has a lot of bouncers, private security are harassing students as we speak,â€ Mati said. A student was injured during running battles that took place between students and security outside of the university grounds. â€œAs long as the demands are not met, we will continue the protests,â€ Mati said. 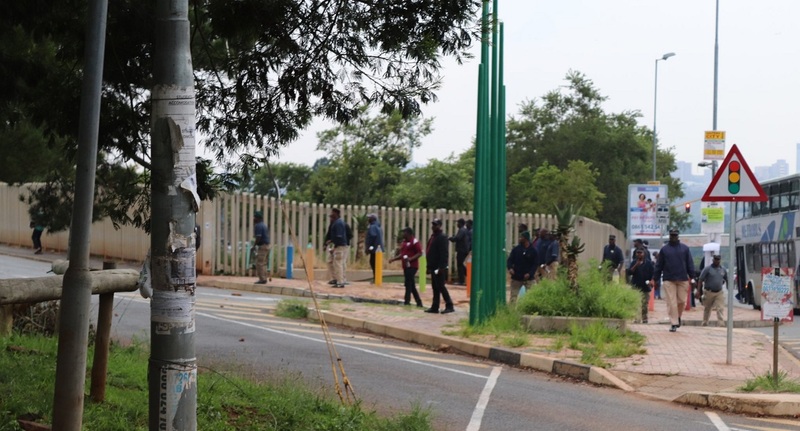 â€œThe university has implemented heightened security measures to ensure the safety of staff and other students as well as the University property, â€ spokesperson Herman Esterhuizen said in an email to The Daily Vox. Esterhuizen said the university remains committed to making quality education accessible to students and has exempted all NSFAS-qualifying first-year students from both registration and accommodation fees. Returning students who qualify for NSFAS and have outstanding debts are allowed to register but are required to sign an acknowledgement of debt before they can do so, he said. Non-funded students whose outstanding debt is equal to or less than R10,000.00 will be allowed to register provided that they pay a registration fee of R3,870, Esterhuizen said. The university will be open for operations on February 7, he confirmed. Management at Wits University shut down the campus on February 6. This was reportedly in response to students who mobilised at Wits campuses in Parktown and were heading for the main campus in Braamfontein. Sibongile Sibeko the gender and transformation officer from the Wits SRC said the hunger strike will continue. She said the SRC have not decided on any other plan of action. Sol Plaatje University (SPU) has also shut down. In a statement, the university saidÂ the SPU SRC will hold a Student Assembly on 7 February 2019, to discuss the call by the South African Union of Students (SAUS) for a national shutdown of the Higher Education sector. During protests at Durban University of Technology (DUT), a student was shot by private security and later died in hospitals. Students at DUT have been protesting the late payment of Nsfas.